Once upon a time, not all that long ago, anything that was utilising GPS technology was generally part of a military operation. Now there are many applications that use this technology, both military and civil. 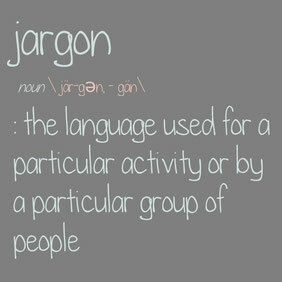 Before we delve into the inner workings of the way your drones take advantage of these earth orbiting constellations, it is important first of all to introduce some new terminology and acronyms so we understand the lingo and jargon. The first satellite system was known as 'Transit' and was deployed back in the 1960s. This system relied on the satellites travelling a known path and transmitting on a known frequency. The received frequency would be slightly different (with respect to receiver position) and by tracking these slight differences over a period of time, the receiver was able to calculate its actual position. Systems in orbit these days are far more direct and advanced. For example, the US GPS satellites orbit the earth in six 55 degree planes. They are positioned to provide wide coverage of the earth and complete one full rotation in 11 hours and 58 minutes. Accurate timing is everything in GNSS so each satellite is fitted with up to four atomic clocks which measure time down to thousandths of millionths of a second. The satellites broadcast two signals; the course acquisition code, and the navigation data message. The course acquisition code is made up of a series of zeros and ones (binary), and is superimposed onto the carrier wave through a process called modulation. 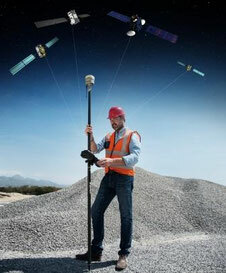 GNSS measures the time it takes these signals to travel in order to work out latitude, longitude and altitude. Relative accuracy is a consideration given to a point on a map with reference to another point on the same map. Relative accuracy (a length of a fence or the area of a paddock for example) is normally assessed from a 2D map made from images looking from directly above the location. This can unfortunately induce some degree of error, given that the earth is not always completely flat like the images. Global accuracy is a measure of a features actual position on the globe, with reference to a coordinates system like WGS84. It is a consideration of latitude, longitude and altitude with respect to its actual position. The accuracy of your map is measured by the Route Mean Square Error and is essentially the difference between two datasets. In other words, comparing a known value with a predicted value. For example, if we place a GCP in a location and acquire its actual position on the globe (known), then fly a survey mission, the image with the GCP in it is an observed location. The difference in these two datasets is the Route Mean Square Error and determines your accuracy. DroneDeploy has a fantastic article on mapping accuracy. Without getting into the nitty gritty, image resolution primarily depends on two factors; quality of the image and the altitude at which the image was taken. The combination of these two factors results in the GSD or ground sampling distance and is measured in centimetres/pixel or inches/pixel. The smaller the measurement per pixel, the better quality image, or higher resolution. It is possible however, to decrease the GSD and improving the overall output from your survey once it has been processed. The most obvious is to fly at a lower altitude. This allows each image to capture a smaller area and thus focusing on 'quality' rather than 'quantity'. In addition to this, increasing the front and side overlap of your images will not only improve the GSD but will also increase the accuracy both relatively and globally. A word of caution though, increasing the overlaps beyond 80% may significantly increase you survey quality but you will most certainly notice extended processing times. The number of photos taken also can have a part to play, although this is more directly linked to the altitude you fly at. It is clear to see based on the altitude that for a given area to survey, the lower you fly, the more images will be needed to cover it in its entirety. The short answer is it depends. They are two separate processes essentially arriving at the same objective; the most accurate survey possible. So where do we begin? Well how about back at the beginning? Literally back at the beginning of this article. This is the fundamental basis on which RTK and PPK are based. The difference being how we arrive at the result. RTK is an acronym for Real Time Kinematics and as the name suggests, this process happens in real time. A base station (GNSS receiver) is set up and so has a known location while a 'rover' is installed into your airframe. Signals are sent between the ground station, the drone and the satellites and any anomalies in actual location are corrected 'on the fly' so to speak. 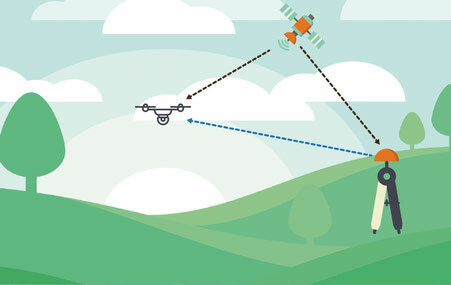 Latitude, longitude and altitude information is recorded when the shutter of the drone camera activated and this information is embedded into the image data for processing. Although RTK produces highly accurate surveys with GSDs down to between 1-3cm/pixel it's not without its downsides, the most notable being the requirement for long range radio connectivity between the 'rover' (or drone) and the base station. This connectivity is to facilitate the data transfer for position corrections. Although 'long range' radio is used, obviously there are distance limitations on its availability. Also, due to the additional hardware required, there are also weight penalties which must be accepted in order to take advantage of RTK systems. The final disadvantage of RTK systems, is the cost. They are EXPENSIVE! Some additional hardware packages to install into your current UAVs can cost upwards of $15,000. PPK or Post Process Kinematics is the newer option when it comes to precision mapping and surveying. For this method again, the name suggests the difference. This time instead of happening in real time, the magic happens post mission in the processing phase. 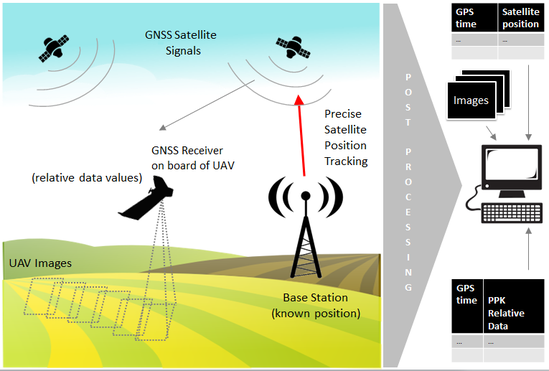 A base station is again set up with a known GNSS location along with a receiver also installed into the UAV. The big difference here is that there is no need for the long range radio as no data needs to be swapped for real time position corrections. Instead, images are tagged during shutter operation with location data and after the mission is complete, this data along with the base station location are compared during the image processing stage and anomalies are then corrected to produce an accurate survey. While slightly less hardware is required for PPK than RTK, it too isnt without it's limitations. As with RTK the most obvious limitation is the cost of such systems. In addition to this, post processing software such as Pix4D or PhotoScan are also costly necessities. So what have we learned so far? GNSS technology and drone technology has moved in leaps and bounds over the recent decades and although its accuracy and applications are astounding, as we have found it is expensive and possibly out of reach for the smaller players in the aerial surveying and mapping sector. Fortunately however, there is a more rudimentary and far cheaper option; ground control points. GCPs are known locations around your survey area which when photographed by your drone show up in the images. These images are tagged by your drones onboard navigation system and then the drone location and GCP location can be compared and if necessary realigned so the map is then accurate. The biggest advantage of using GCPs is of course the cost. A tin of spray paint and a stencil is one simple idea of marking a GCP location. Of course, if you did want to spend a small fortune on GCPs then a company called Propeller have a great product called AeroPoints but again they are expensive. The AeroPoints can be viewed at the Propeller website, here. In any case, there is one disadvantage to using GCPs that can not go unnoticed and that is the need to scout GCP locations at your mission site prior to flying. This of course takes time and if you happen to be using AeroPoints or some other GCP, not only will you have to set them up prior to your mission but you will then have to collect them following your flight. As with many forms of technology, your ability to 'keep up' is largely determined by the depth of your pockets. Fortunately, there are some cheaper alternatives out there that although may take a little more time to implement, still produce results of a comparable standard. Below is a list of software and hardware packages that UAS Imagery takes advantage of when we fly missions and process images. Software packages are Open Source and therefore FREE and the hardware (in particular the GNSS receivers) are designed and manufactured by a savvy new company making a big impression with little price tag and thus opening up the equipment to more of us that are having a real go a aerial surveying.